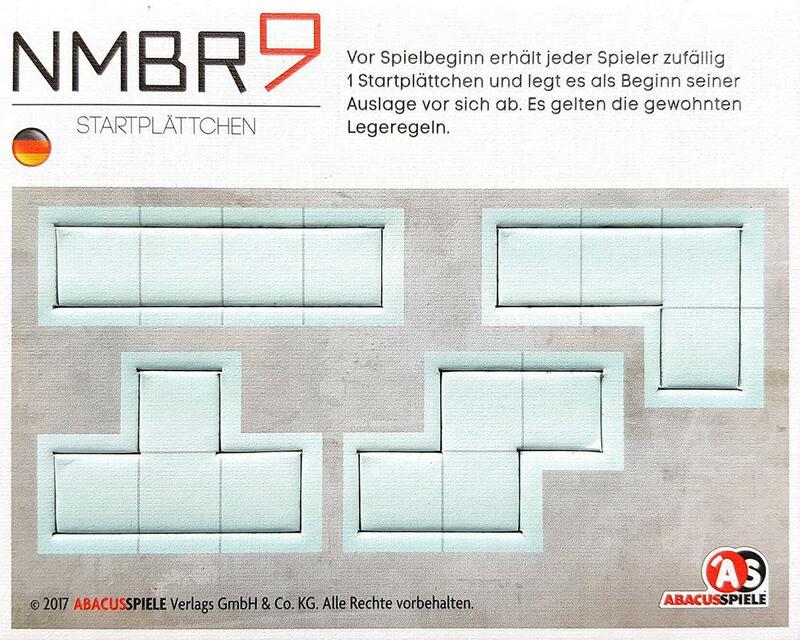 NMBR 9: Starting Tiles are promotional tiles for NMBR 9 that debuted at the 2017 Stadt-Land-Spielt! game festival in Germany and Austria. Before starting the game, each player receives one starting tile at random, placing it on the table as the first tile in their display. Thus, everyone now starts from a different base, so players cannot copy one another, even in the earliest rounds of play.